It’s easy to understand the middling popularity of live-streaming apps like Meerkat and Periscope. On one hand they grant users an unprecedented level of intimacy, allowing us into the daily lives of celebrities and total strangers as they do their respective things. On the other hand, bor-ing. Voyeurism is fine and fun and everything, but it doesn’t quite pack the same thrills as good old-fashioned eavesdropping. 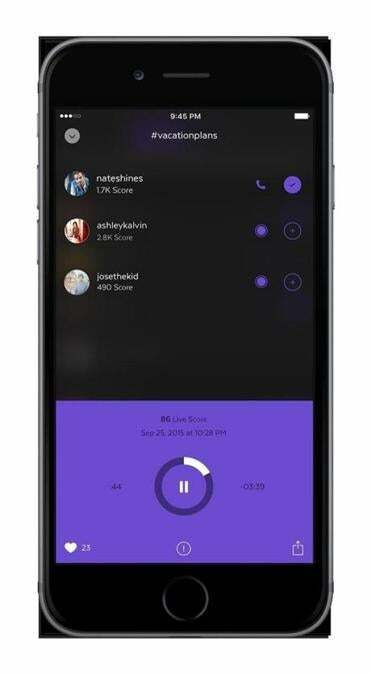 A new app called Unmute stands to expand the appeal of live-streaming by limiting its parameters a little. Unmute hosts “calls,” that is, live group voice conversations — think of them as conference calls in the wild, or decentralized party lines. You can listen in to live conversations as they happen, comment with a text or photo, and even chime in — once the host “unmutes” you. PROS: Unmute addictively combines the participatory nowness of Periscope, the lurky kicks of old-school AOL chat rooms, and the topical tug of podcasts. Calls are limited to 18 minutes, can be replayed at anytime, and are shareable across social media. CON: Unmute is brand-new, so there’s not a whole lot of chatter unfolding at the moment. When and if the app picks up steam, though, expect it to be a bustling hub of live Q&As and interviews. For now, it’s just some British kids talking weed. Still pretty good.